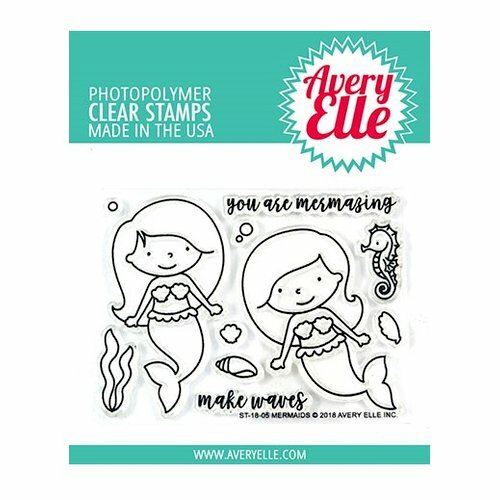 You'll be mesmerized by what you can create with the Mermaids Acrylic Stamps by Avery Elle. 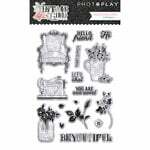 There are 11 photopolymer stamps on a 4" x 3" storage sheet included in the package. The stamps are made in the USA. 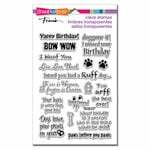 Use the stamps with an acrylic block and your favorite inks sold separately. Images include mermaids, shells and a seahorse. 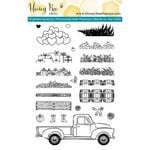 I ordered this stamp set this past spring, and since then it has consistently been one of my favorite sets to use. The stamps themselves are well-made and have not torn. The only problem that I have had with them is that the smaller ones - the shells, seaweed, and seahorse - do not want to stick to the plastic cover, so there is a risk of losing them.